Weddings Ask The Expert: Who Owns The Copyright To My Wedding Video? Ask The Expert: Who Owns The Copyright To My Wedding Video? 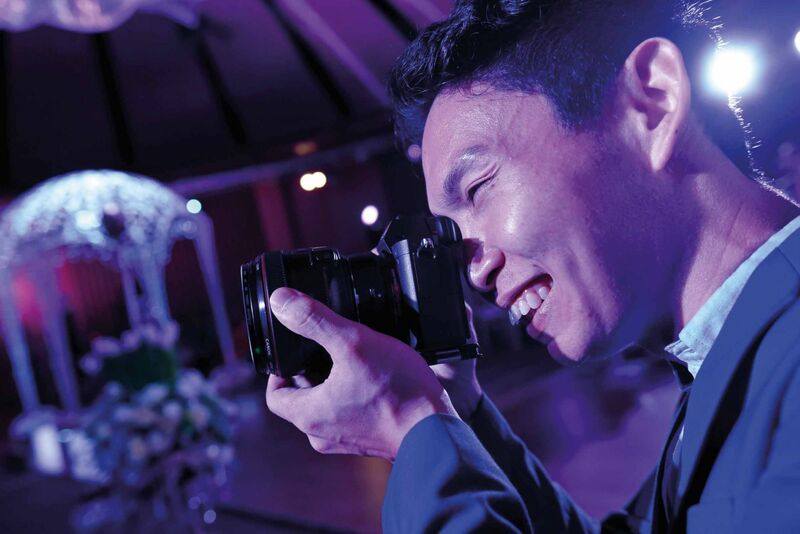 Weddings videographer Han of AllureWeddings answers this and other burning questions on making a wedding video. Fascinated by filmmaking as a youth, Han, who prefers to go by one name, would follow and assist his videographer father on assignments. The director of AllureWeddings went on to study visual communications before formally taking his place behind the lens. On what drew him to wedding videography, this movie buff enthuses that it’s the appeal of capturing and immortalising beautiful, tear-jerking memories on film. Who owns the copyright to my wedding video? Our company does, but you can share the wedding video with a credit mention. By the same measure, you can trust that we will not publicly share footage from your wedding without your consent. How do you mitigate unexpected technical failures while filming? We believe prevention is better than cure. Thus, we always bring two or three spare cameras, extra memory cards and readers, and adhere to an elaborate back-up protocol. We invest heavily in high-speed memory cards, and retire those that show even the slightest glitch. We also back up wedding files into three different storage devices. So technically, our video journey with you should be flawless. What elements of the video do you prefer to have the final say on? As much as we want to decide on the soundtrack and filming style of any wedding video, it is ultimately about the couple, not us. So because it’s a precious memory for them, we try hard to accommodate requests. Having said that, we prefer to be able to make the final call on the way the video is edited, because it’s what we do best. Our job is to show the best of what we have captured and put the pieces together to tell your story. What is the latest trend in wedding videography? Shooting parts of the video in extreme slow motion. However, this requires a certain type of camera that takes 1,000 photos in a second. It can be challenging to move around this bulky equipment plus it typically only shoots in slow motion. Since there are time constraints during an actual wedding event, I would recommend doing a video shoot before your wedding. This way, there will be sufficient time to curate and direct the specific shots you want.